There is no doubt that the human body can be very resilient. Short of regenerating new limbs, our bodies are capable of recovering from large amounts of damage, including broken bones. 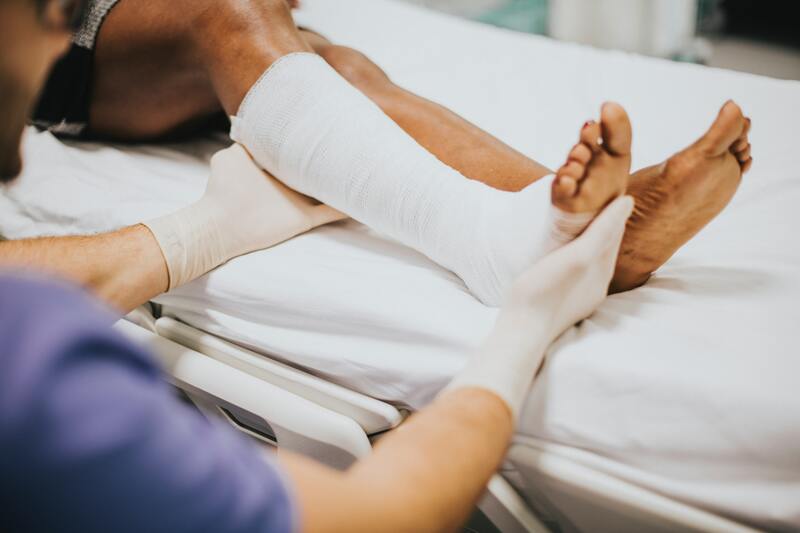 With this in mind, many people are happy to let nature take its course following an injury, thinking that seeing a physiotherapist will only act to speed up already healing tissues. There are other factors to consider however. We discuss some of these below. 1. Range of motion will not always return fully. Issues including scar tissue can cause ongoing pain and stiffness in skin, muscles and joints. Physiotherapy can help prevent excessive scarring from forming through advice regarding movement, massage and other hands-on treatment. Stiff joints will generally respond, at least to some extent, to manual therapy and exercise prescription. 2. Your ability to sense the position of your body, known as proprioception, is often impaired after an injury and can be retrained. will experience ongoing issues with instability. Proprioception retraining is an important part of addressing this instability. Following an injury, ligaments may be lax, joints may be stiffer and muscles are almost always weaker. While the pain may be gone, there might still be factors that need to be addressed to prevent more complicated issues in the future. For example, a significant knee injury or surgery will typically leave patients with a significant limp which may benefit from a physio’s attention. 4. Strength does not always return automatically. After an injury, passive structures such as ligaments and cartilage may recover to the point that you are no longer in pain. However, muscle strength will not always return completely over time. procedure, often requires strengthening exercises to be properly addressed. 5. Injuries don’t always heal completely. may prevent an injury from healing include poor circulation, diabetes, insufficient care of the injury and poor nutrition. A physio is qualified to identify these cases and refer onward as appropriate. Your physiotherapist can assess your injury and develop a treatment plan that will both restore you to the best possible function and prevent further injuries. *None of the information in this article is a replacement for proper medical advice. Always see a medical professional for advice on your individual injury. Have an injury that needs some attention? Book now to see one of our great physiotherapists. ← What is physiotherapy and what does a physiotherapist do? What is physiotherapy and what does a physiotherapist do?